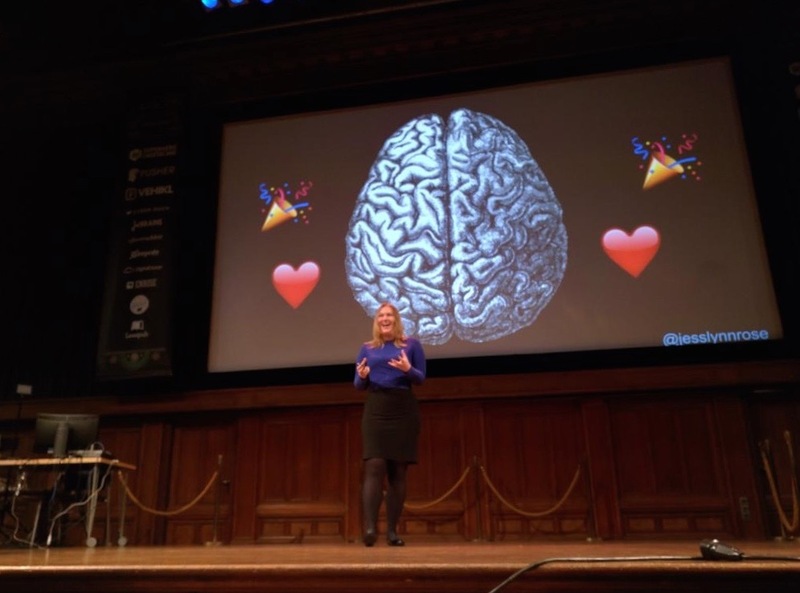 Today the second day of the Laracon EU took place in Amsterdam. Like yesterday there were a lot of interesting speakers. 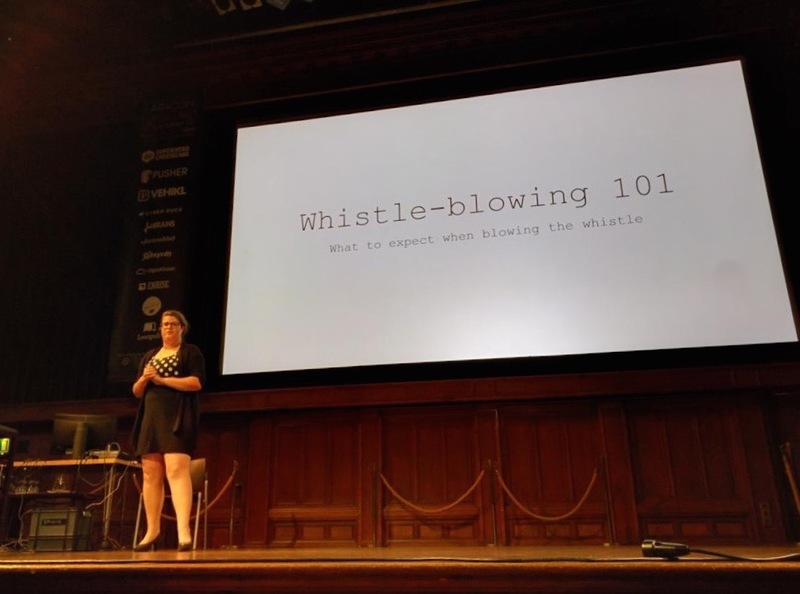 Jessica Rose started with a great talk on imposter syndrome. Impostor syndrome is the feeling that you don't know what you're doing, while everyone else is getting on fine. She clearly explained what it is and how you can cope with it. An important part of the solution is to just be open about it. I think all of us have / had to cope with this feeling. After Jessica’s talk Lorna Jane Mitchell blew everybody’s mind with a live demonstration of some neat git tricks. Did you know for instance that you can abort a merge that results in conflicts? Just run `git merge --abort` to rollback. She demoed git bisect, showed how to specify a difftool and many more nice things. I learned a lot during her talk. 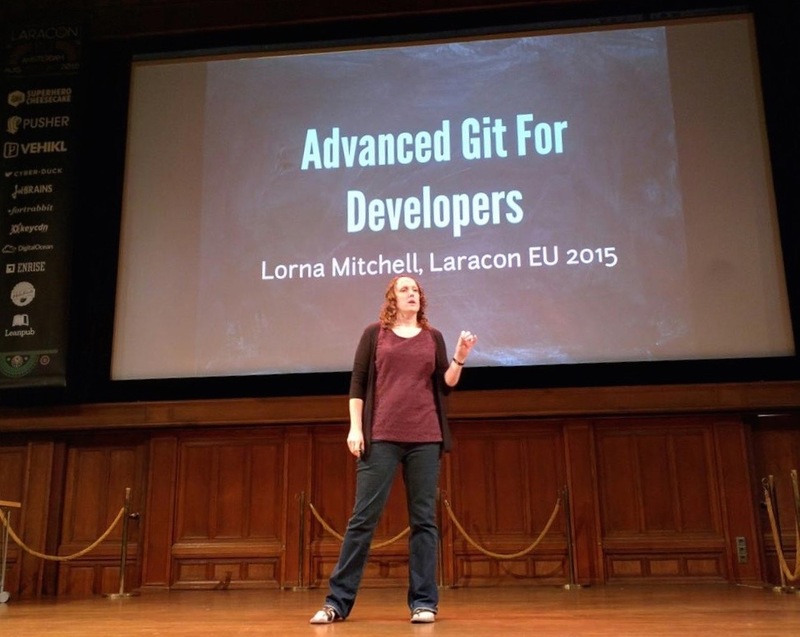 Want to know more about git, be sure to read her book on the subject. After all artisans had a nice meal Ester Kok gave a 101 on whistleblowing. Image you're stumbling on some piece of information you shouldn't have seen? Should you report it? To who? What are the legal implications? Her slides where very fun to watch at. Instead of using text she only used icons from the noun project. 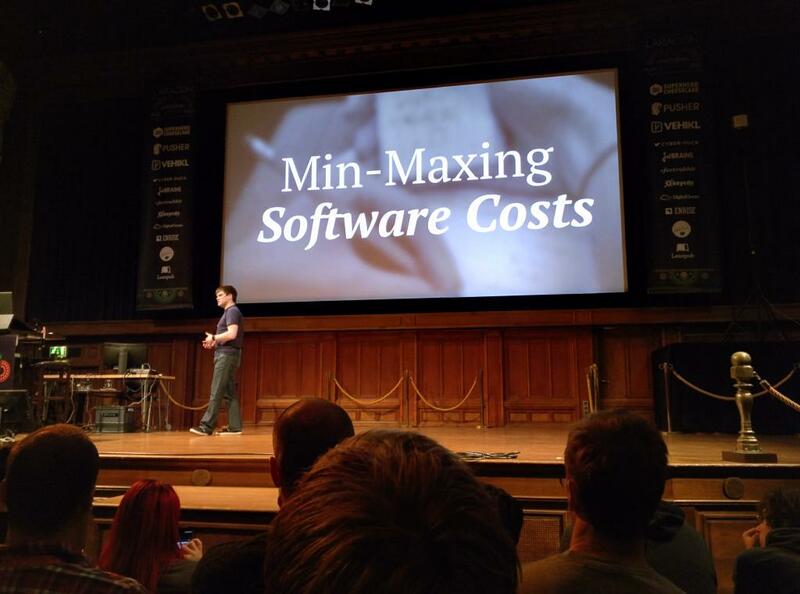 The best talk of the conference was Min-Maximizing costs by Konstantin Kudryashov. He talked about the different kinds of costs during a project and which ones should be optimized. He made a distinctions between the cost of introduction (when you're creating your code for the first time), the cost of change (when you're adding a new feature) and the cost of ownership (refactoring). This is talk had insights for everyone regardless of which role they have. I'll recommend watching the video to my whole team when it becomes available. Konstantin's slides are available on SlideShare. Next up was Hannes Van De Vreken with a talk on package development. Having released a lot of packages myself I was very much looking forward to this talk. He started off with some nice beginner steps by running through the awesome package checklist by Jonathan Reininck. After that Hannes went on to explain some more advanced concepts as environment handling and decoupling. The slides of this talk are available on Speakerdeck. Hannes will try to raise some money for the mediclowns by running the New York Marathon (which I think is really brave). The last speaker of the conference was Jeffrey Way. Unlike most of his videos on Laracasts.com this talk wasn't focused on coding up something but on the little details that can make a difference. The first one part of his talk was about care. You can see an example of the care that goes to Laravel by looking at the comments block. Each block contains three lines and each lines is three characters shorter than the previous line. That may sound unimportant, but it visually feels nice when looking at it. An nice touch in Jeffrey's presentation is that he used this style on on of the slides. The second part of the talk was simplicity. 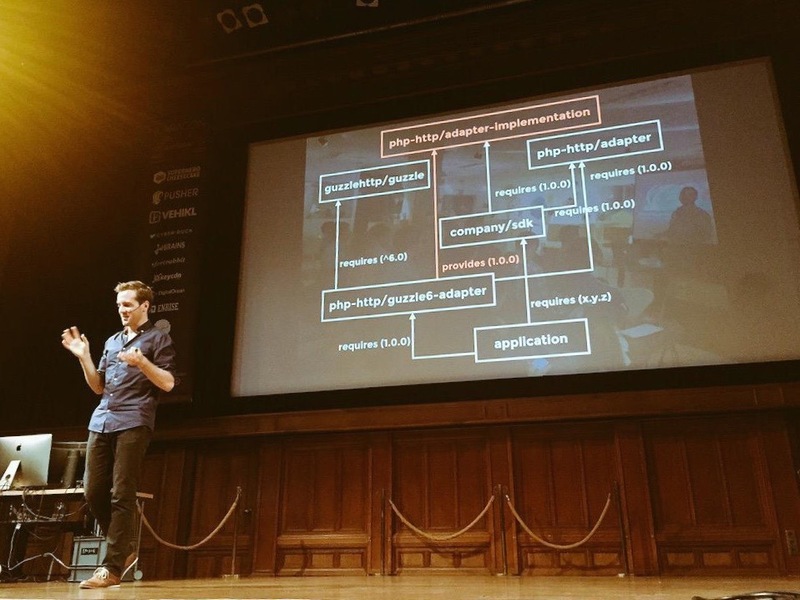 He illustrated this by showing how simple it is to leverage Laravel's scheduling functionality. Finally Jeffrey spoke on distrust. During this part of the talk he showed some working titles of Elixir and how they tinkered with the names of methods until it was just right. While creating Elixir Jeffrey and Taylor got quite a bit of negative feedback. But they perserved in creating it and now everybody can enjoy this addition to the framework. 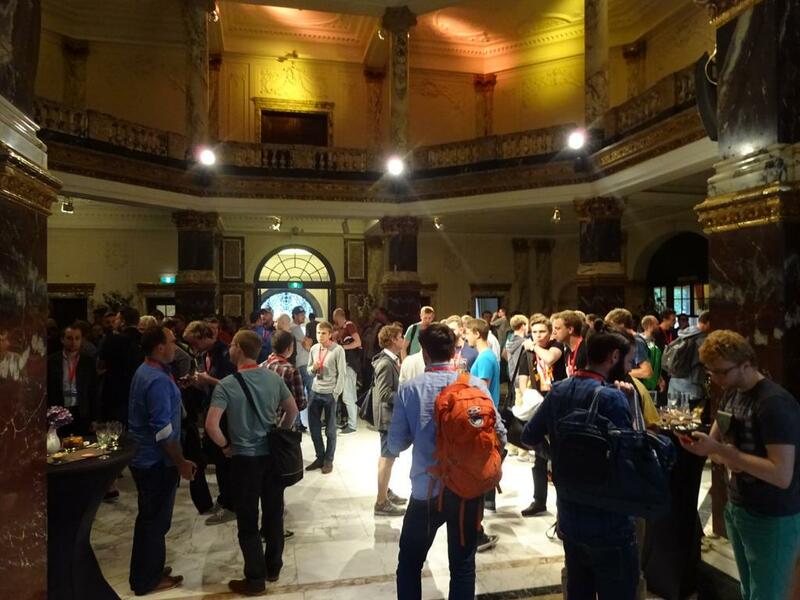 After the closing ceremony there were drinks and snacks to enjoy while socializing with fellow developers. Like mentioned in the recap of day one I think this is one of most valuable things of going to a conference. 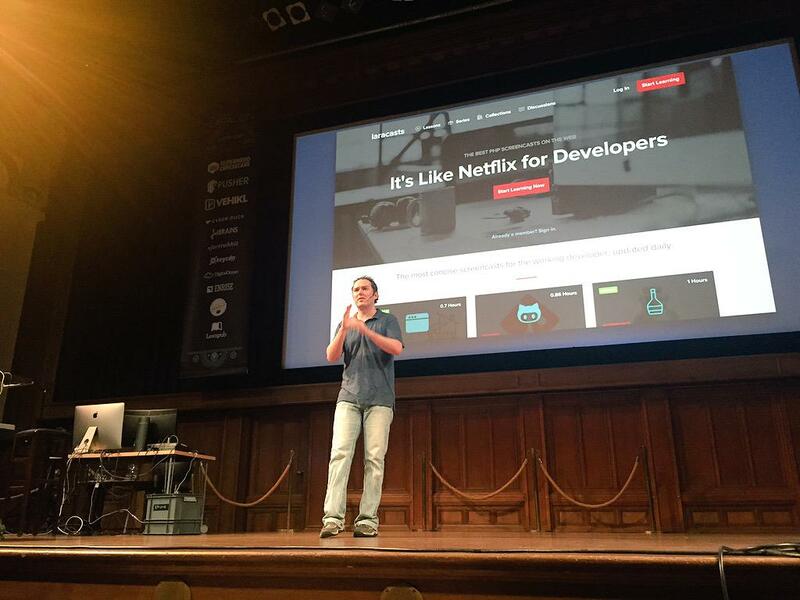 This was the first Laracon I've ever been to and it has been a great experience. Shawn McCool and his team did a great job organizing the event. 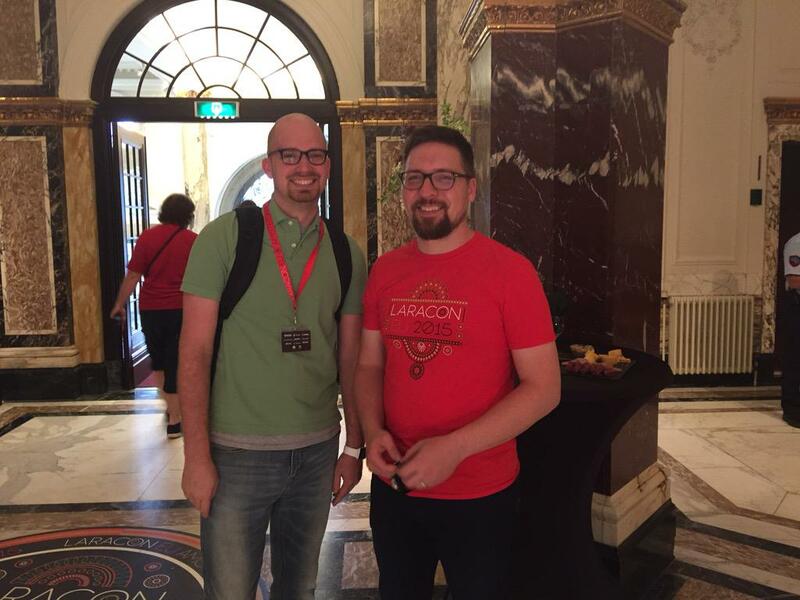 Shawn already mentioned that they're busy making Laracon EU 2016 happen. I'll most definitely be there. Here's another recap by speaker Hannes Van de Vreke.